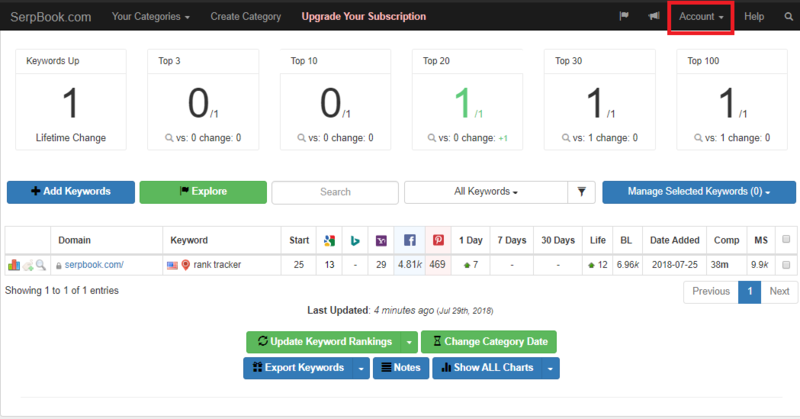 Your monthly search volume values are updated periodically. If you see they are not showing up, out of date, inaccurate, you can trigger a refresh at anytime by clicking on "Refresh Monthly Searches" within your settings. If it shows “0” in some keywords but not N/A, that means it’s VALID. It basically means there is 0. It’s only an issue if it’s showing “N/A”, which would mean pending. Note: MS takes about an hour to show up if you've just added keywords in. Just follow the following steps to troubleshoot the issue. If you see that the MS result is 0 or N/A, refresh first the page and see if there's any changes. If nothing change, we must manually refresh the MS. To do this you must click the "Account" drop down button, it should show you more options. 2. Once you see the option after clicking the "Account" drop down, click the "Settings"and it should redirect to you Setting page were you can change your password, add add on emails, configure settings and more. 3. 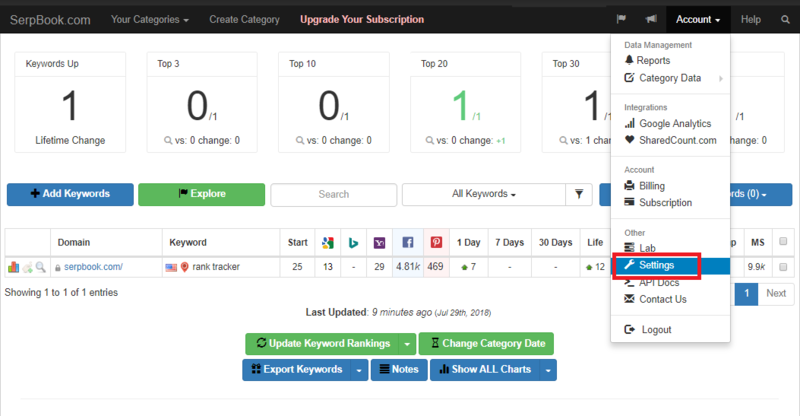 Scroll down until you reach the bottom of the settings, there you will see the "Refresh Monthly Searches Values" button. Just click on it and it should refresh MS and give you the result. If this doesn't help solve the issue, please contact us immediately to further assist you.